Ammo Wallet Rifle Carrier 9 Round 222 Remington | BUDK.com - Knives & Swords At The Lowest Prices! 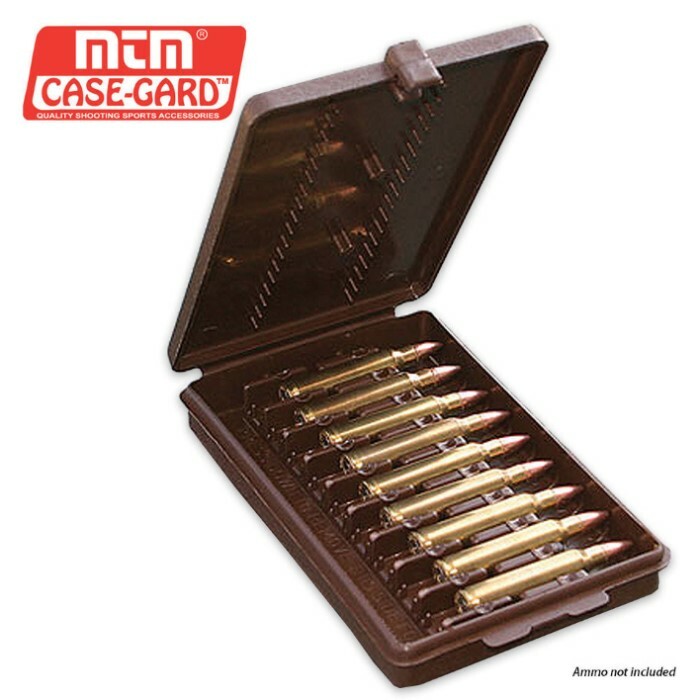 The MTM Ammo Wallet Rifle Carrier will hold cartridges securely in place so that the bullet tip is protected but can be removed quickly at a moment's notice. It looks and feels like a wallet and will fit most pockets. It is made out of durable polymer and will hold 9 rounds comfortably. It has a flip-top lid with a Snap-Loc latch that keeps I secure from 222 Remingtons to 30-30 Winchester Browns.